The brand of WeGirls Dolls was founded in Poland in 2014 and consisted of a range of beautiful play dolls, dolls clothes and accessories which were all supported with a website with games and books. In Poland they also had shops! 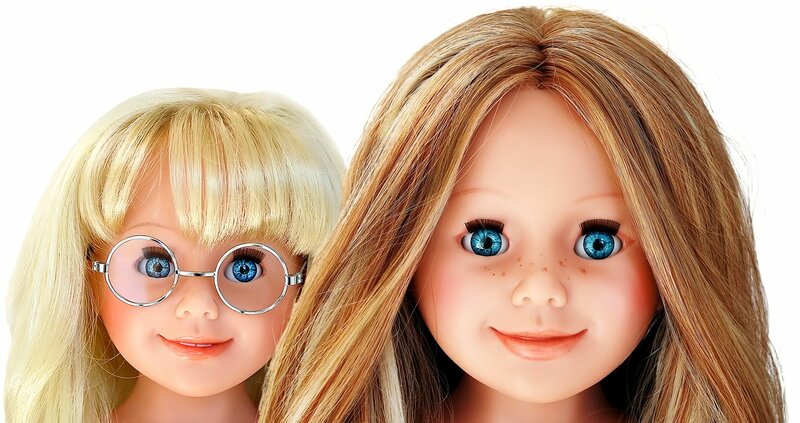 As soon as I saw the dolls I fell in love with their cheeky fun loving smiles and posabie limbs, and several clues made me realise that the original dolls were made by Schildkrot in Germany so I knew the quality was going to be amazing. It is now September 2018 and the brand seems to have died out. The dolls, although beautiful, were expensive, and the 18″ doll market is so competitive that they just didn’t take off. They arrived at the same time as Our Generation dolls which, because of their designs and the low price, are challenging all doll brands, even the very established ones. 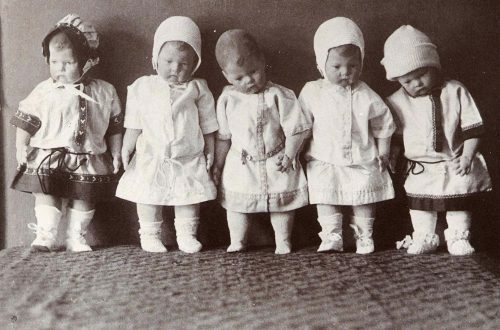 To try and compete with price, WeGirls moved their manufacturing from Schildkrot to China (or somewhere similar), and the resulting dolls just didn’t have the same appeal. You can still find the last of the stock on Amazon but the original WeGirls website has now closed. It’s such a shame because the original staff were so ambitious and enthusiastic, and I had loved the sound of the brand when first introduced to it. I’m very sorry that it didn’t work out. The rest of the article is from my original post in 2015. 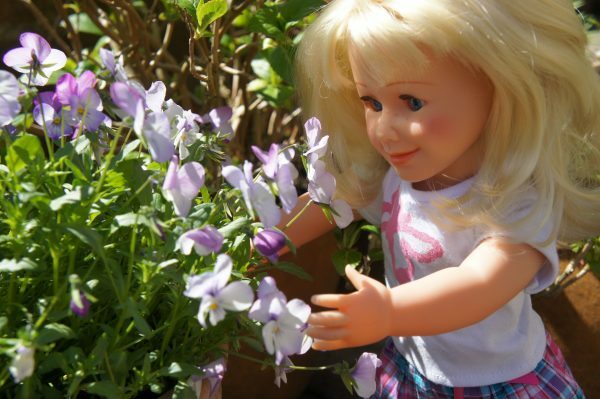 The WeGirls dolls are another addition to the 18″ (46cm) doll market and are made from soft, phthalate free vinyl with 5 fully movable joints which is very unusual, as most doll companies aspire to be like American Girl and give their dolls soft bodies. You can see that a great deal of effort has gone into sculpting the dolls because their bodies are based on young, quite muscular girls, and their hands and smiling faces give the impression of movement. At Petalina we are also very impressed with how their heads are attached because they have a great deal of movement. They can be tipped and turned in all directions which gives the dolls a very life like appearance with lots of natural expression. 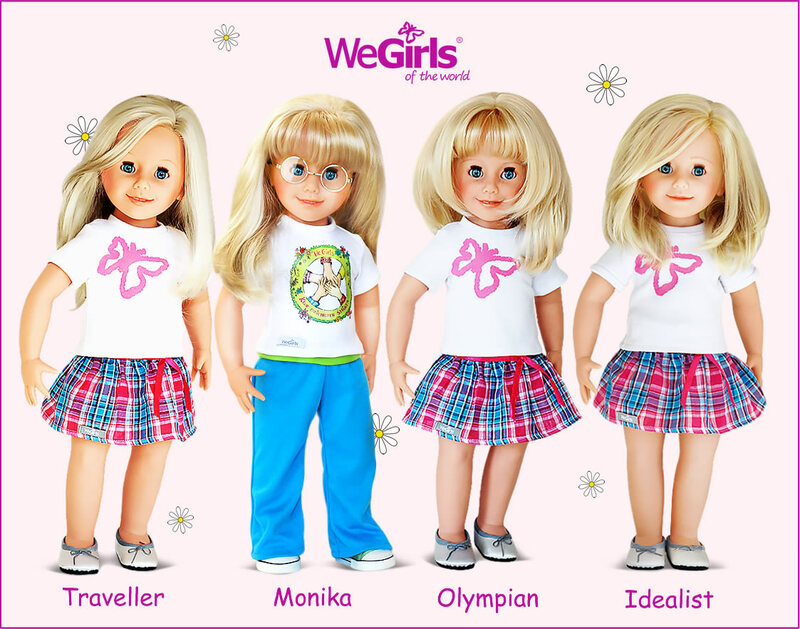 We think the faces of WeGirls Dolls are very appealing due to their smile, and their eyes smile as well. Because of this they will make perfect best friends for girls to have fun with and take on adventures – they will always look as if they are having a good time and never get cross or grumpy. Their eyes, which are large and closing, are either blue or light brown/hazel, and all have dark eyelashes on the eyelid. Their lips are painted with a natural lip tone, and some of the dolls have a glimpse of white teeth. WeGirls dolls also have good quality rooted hair in a variety of styles, and it brushes beautifully. Schildkrot hair is known to be high quality and it will last the test of time. Rooting refers to how the hair is actually inserted into the head with a machine needle and the hair is knotted on the inside so that it is secure and able to withstand lots of brushing and styling. Schildkrot also has a unique skill and can use several tones of hair together which gives a very natural look. The hair is also incredibly thick compared to all other brands of doll. 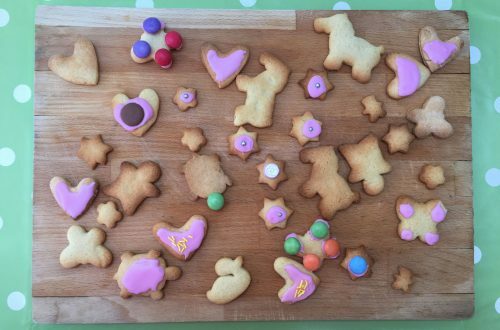 I can see the potential for so much fun with these dolls and would therefore recommend them for a wide range of ages, from as young as 4 up to 8 or 9. 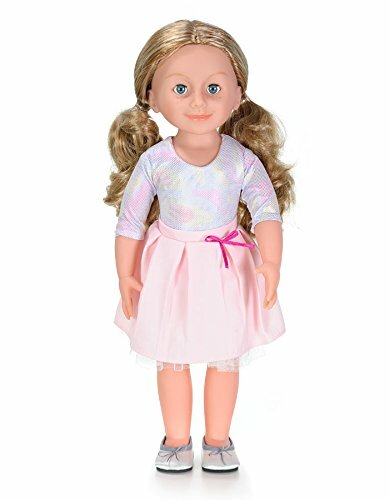 The vinyl is soft and the eyes close, so younger girls will love them, and with the dolls’ fashionable clothes and gorgeous hair, older girls will love them too. 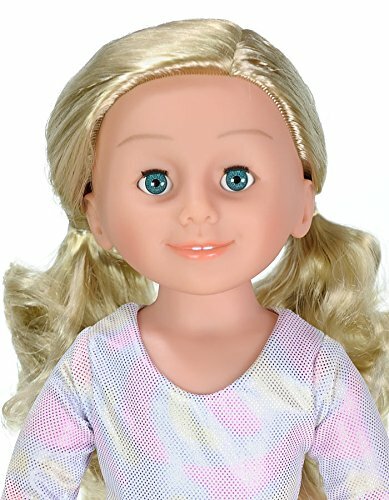 I think WeGirls have created a unique doll not available anywhere else. And here is the full range, all of which are available at Petalina. The question is now, which one to choose? And this is what the WeGirls dolls look like beneath their clothing. Their vinyl is soft and does give when pressed, so softer to fall asleep on than many other dolls. 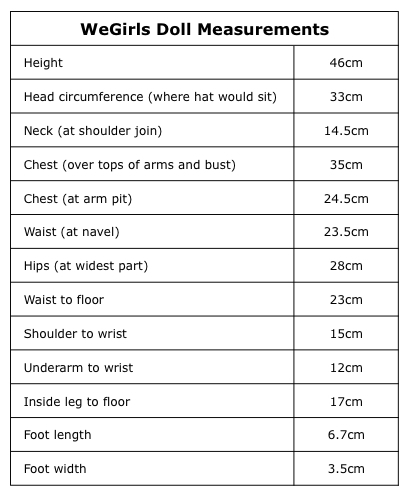 The measurements of WeGirls Dolls so that you can compare the size to other dolls and check if dolls dress patterns will fit them. Which clothes will fit the dolls? WeGirls offer a range of clothes of which Petalina has a good selection. Plus, they fit many other brands of clothes including Gotz (not all) and Petalina Girl. WeGirls recommend that the dolls are not placed in water. Both the hair and the bodies can be cleaned with a damp cloth and left to air dry somewhere with plenty of air circulation. These are photos of some of the dolls that are available now from Amazon at a much lower price than the original dolls.